"BOLD" SATIN WITH ISABELLA SILVER BROOCH. Keep your enemies close and your Girl’s Best Friend Pillow closer. 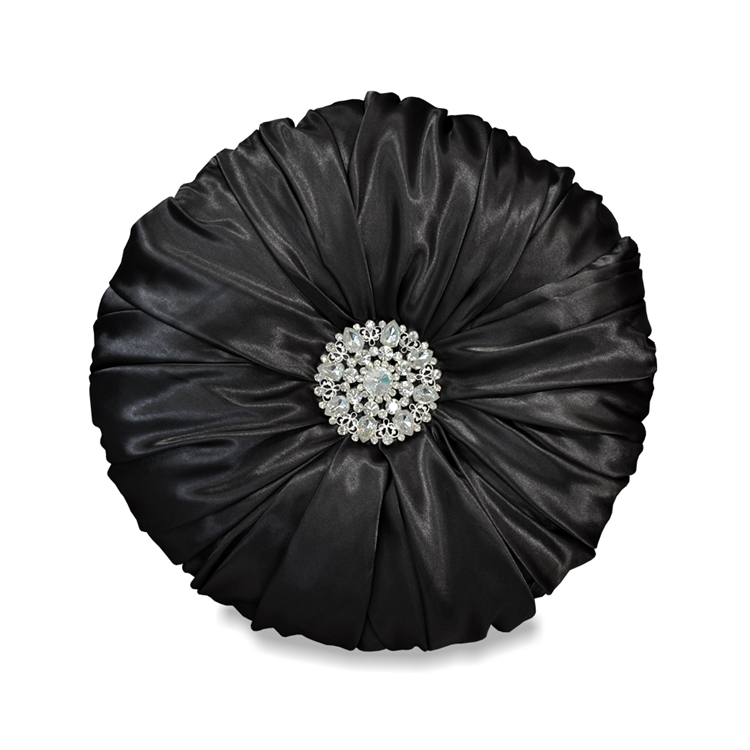 With bling this big, you’ll never want to leave your abode again. Instead, invite the girls over for a good old-fashioned sleepover. Customize any Haute House Home piece to your liking. Available in 7 "Bold" colors: BLACK, CERISE, CHERRY, LILAC, NAVY, PISTACHIO, and TEAL. Item sold as shown online. Price is for (1) pillow only. Please make sure to choose a color. Call 323.256.2800 or email info@hautehousehome.com for custom options.